a half-pipe, an ultra-cross course and 80km of groomed runs, there is no shortage of terrain to traverse in style. 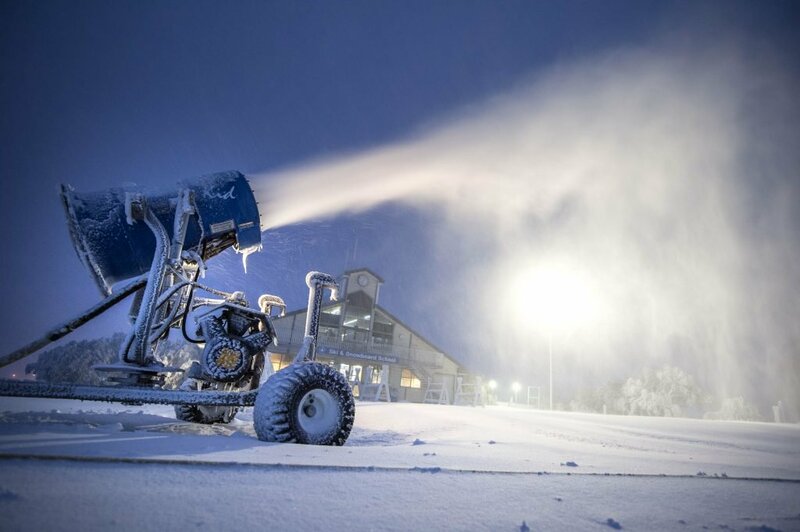 Mt Buller has state-of-the-art snow-making capabilities and the largest lift network in Victoria. Be assured that students will enjoy reliable snow from early to late in the season. Journey to Mt Buller Board your coach and depart for the snowy mountain peaks of Mt Buller. Upon arrival, transfer to your lodges. Make your way to Buller Central to collect your equipment, snow gear and lift passes. The remainder of your afternoon is free for building snowmen, snow angels and engaging in a little snowball mayhem! Optional activity Watch a movie at the highest cinema in Australia. Breakfast Enjoy a hot cooked breakfast before suiting up and heading out to Buller Central with your group. Morning Lesson Learn with the best, meet your ski or snowboard instructor for your first 90 minute daily lesson. Lunch Enjoy a tasty and nutritious lunch near the slopes. Optional Activity Learn the science of snow-making at 15 degree celcius at Mt Buller's Snow Factory, on a snow-making tour. Evening Return to your lodge for a hearty dinner and relax in comfort. Morning Lesson Continue learning with your ski or snowboard instructor during your daily 90-minute lesson. Afternoon Leisure It’s time to practice your new skills and explore Mount Buller’s runs, views and lift network. Optional activity Join a snow making tour for a look behind the scenes at how snow is made and distributed throughout the resort. Afternoon Leisure After lunch, practice your turns, gain confidence and explore new terrain on Mount Buller’s extensive trail network. Optional activity Snuggle up in a sled and set out into the wild in a dog-sledding tour. Morning Lesson Continue learning with your ski or snowboard instructor during your final 90-minute lesson. Departure Get comfortable on the coach and share your photos, stories and tips with friends on your way back to school. Thank you for your interest in our WorldStrides Mt Buller – 5 Day Tour Tour! Please tell us a little more about yourself so we can get you sent to the right place.